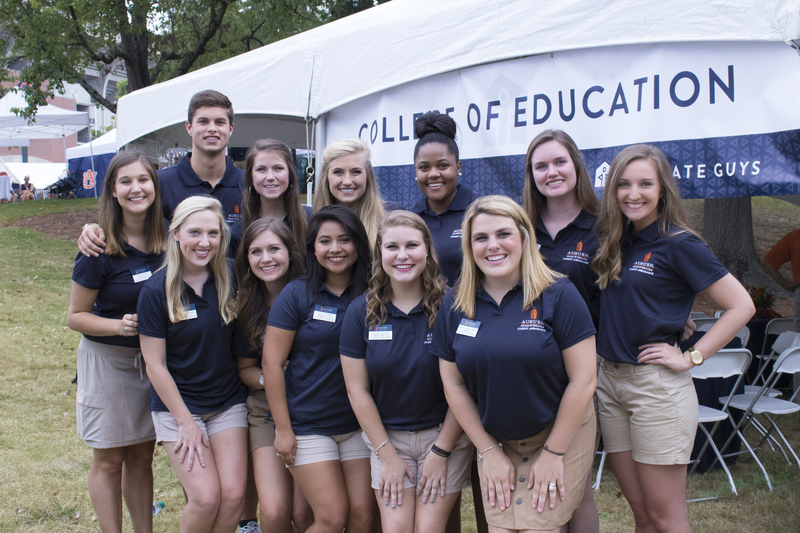 The College of Education Student Ambassadors are elite students who serve as the official representatives of the college. 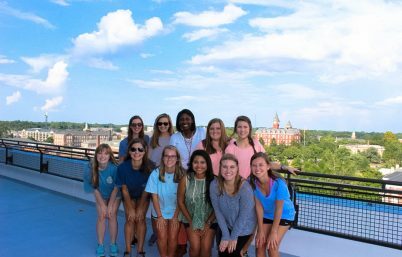 Founded in 2003 and housed within the college’s Office of Development, Student Ambassadors have helped represent the college to alumni, friends, donors, faculty, and administrators. 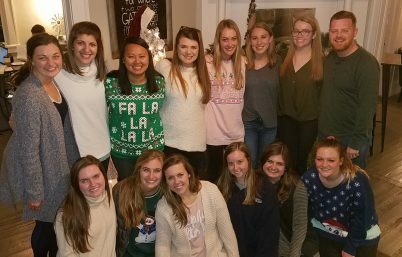 Ambassadors help prepare for and host various college events and activities throughout the year, where they have the opportunity to both promote activities in the college and network with alumni. Ambassadors benefit from their work by developing professional relationships and refining their leadership and interpersonal skills. Student Ambassadors are chosen through a selection process that includes an application and an interview. 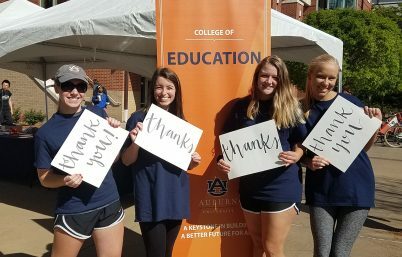 Applications are accepted in February of each year from College of Education students who have a current GPA of at least 3.0 on cumulative coursework, have completed at least one semester at Auburn University, demonstrate a strong level of commitment to programs and initiatives within the college, and are available for service assignments at daytime, evening, and weekend events. Interviews are granted to qualified applicants and are selected through a competitive pre-screening review by a committee of current ambassadors. Completed applications, including verification of your grades from an advisor, are due no later than Monday, February 18. After this date late applications will not be accepted under any circumstances. We look forward to receiving and reviewing your application. For those students who are considering applying for the School of Kinesiology Student Ambassador program, please know you can—and are encouraged—to apply to the College of Education’s Student Ambassador program as well. While you will definitely draw different experiences from both organizations, you will have the opportunity to represent the College at the highest level and network with some of our most impressive alumni. If selected, we look forward to adding you to our robust team of talented students! If you have specific questions about the difference between the groups, please contact Student Ambassador Advisor, Kelly Rogers or Student Ambassador President, Rachel Matthews. For more information, please contact Rachel Matthews, President, or Kelly Rogers, Advisor.